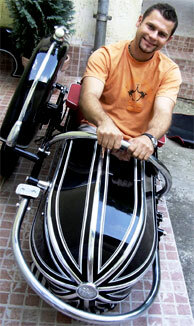 We have been dealing with producing and restoring sidecars for more than 25 years. Our main profile is the German Steib sidecars but we can make other types and we can also produce and equip uniqe sidecars. We take complete restauration, spare parts' purchasing and production with warranty. Occasionally we take veteran motorcycle's renew too.